This is probably the 10th version of the story of Reina Organics which I’m publishing since I had my dream of changing the beauty norms. And it won’t be the last one either. As I аm growing and evolving so is Reina Organics. Back then in the spring of 2014, I was quite certain that I was starting a webshop for green beauty. The more I learn about myself, the more I discover the true reason I started Reina Organics. There are many aspects of Reina Organics and each of them is simply a different starting point of the story of my personal journey of self-discovery and empowerment. It seems a straight forward story but there are many ways to tell it. So let me introduce you to someone special. Obviously, as her mom I think she’s totally slaying it. But her photo is here because she’s my daily reminder about why I started Reina Organics. She embodies, no, she lives, what Reina Organics stands for. I watch her every day loving herself wholly and effortlessly. Sometimes I look at her and I think to myself “Gosh, is it really so easy to be that comfortable in your own “skin?!" She loves to dance around naked in the garden, she wears all shades of lipstick, the highlight of her day is when she gets to walk out of the dressing room in the middle of the store so people can admire her and instead of “thank you”, she would tell them how much she loves unicorns. She laughs because she had a burp and she can't stop laughing until hiccups take over her. Seeing how uber confident she is, no matter how she looks or what she wears, reminds me that once I was just like her. I too used to wear a lipstick when I was a child. I even had a collection of lipsticks and before I was 6 I could flawlessly pull a red lip without a mirror. I loved to put on one of my grandmother’s dresses, play Frank Sinatra’s Strangers In the Night and dance around the house. When I looked in the mirror I didn't see a princess waiting for a prince on a white horse to save her. I was a queen and the world was at my feet. But things changed since then. I was told that I shouldn’t wear a red lipstick because it didn’t look good on me. Better yet no lipstick at all because education was more important than looks. I was molded to fit into the box comply with the norms. So I stopped wearing lipstick altogether. 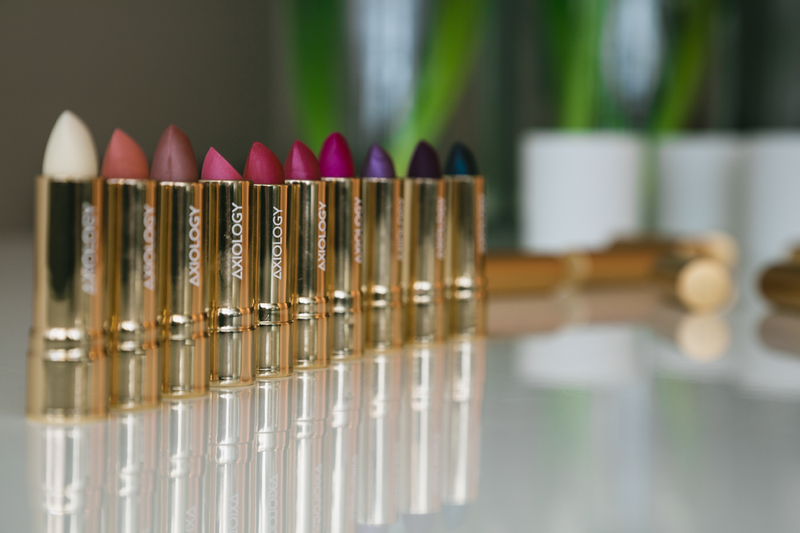 Only after I started Reina Organics I remembered the joy I once felt of wearing a lipstick. However the difference is that as a grown up woman I wear a lipstick to feel good whereas little Rayna, just like my beautiful daughter, wore a lipstick because “I look amazing and right now I feel like wearing a lipstick too”. This is what Reina Organics is about - it’s about freedom. Joy. Peace. Being at peace. Warmth. Expansion. Endless and pure love. There are many ways to lift somebody up. One of the ways I have chosen is through a curated selection of niche, artisan, natural skincare and makeup brands. I also write weekly for our blog. Another way is our podcast Hail the Queen - a collective of interviews with inspiring people. I am available for speaking events and interviews too. If you’ve read so far – thank you! We haven’t met yet but I already know you are special and I’d love to get to know you better. The best way to do that is by following Reina Organics on Instagram. Get ready for a daily dose of everything from green beauty to random thoughts delivered with a Bulgarian accent (even in writing) and if you don’t understand something, it’s probably my dry sense of humor. You are also invited to join the Reina Organics Club, aka newsletter, to get first access to new products and exclusive offers. It’s free.